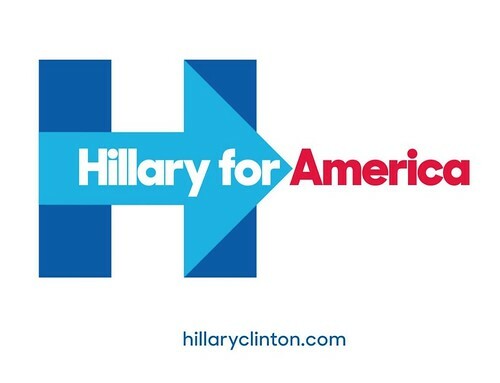 The Hillary Clinton campaign identity designed by Michael Bierut and his team at Pentagram. 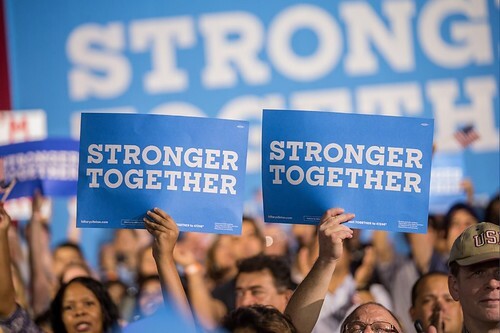 ‘Stronger Together’ is set in Sharp Slab for Hillary. 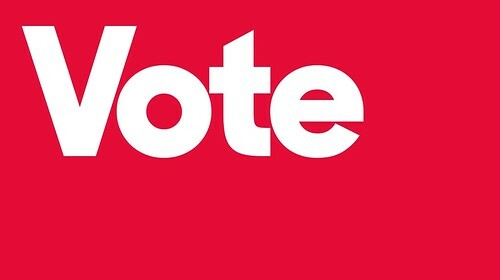 Bierut’s extensive identity system would be used by all manner of people on the campaign trail – from professionals to volunteer organisers – which meant that the detailed instructions laid out in the style guide for tracking a display face used for other applications were unlikely to be followed. Sharp writes, ‘It occurred to us that a serious presidential campaign needs a typeface that can work in any situation.’ As a result, Sharp Sans grew to include Sharp Unity for Hillary, Sharp Slab for Hillary, Sharp Slab Extrabold, Sharp Slab Book, Sharp Stencil for Hillary and Sharp Stencil. 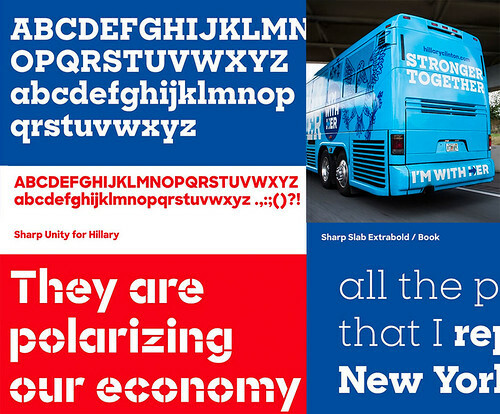 Examples of Sharp Slab for Hillary, Sharp Unity for Hillary, Sharp Stencil for Hillary, Sharp Slab Extrabold, Sharp Slab Book and examples of several of the fonts in use on a campaign bus. Jennifer Kinon of design and branding agency Original Champions of Design (OCD) stepped away from her agency role to become Hillary Clinton campaign’s design director. Kinon was tasked with rolling out and extending from the identity designed by Michael Bierut (Pentagram) that used the Sharp Sans family. Both Bierut and Sharp have praised Kinon’s work online and many of her designs have gone viral including the ‘Love Trumps Hope’ image. A selection of Hillary merchandise. 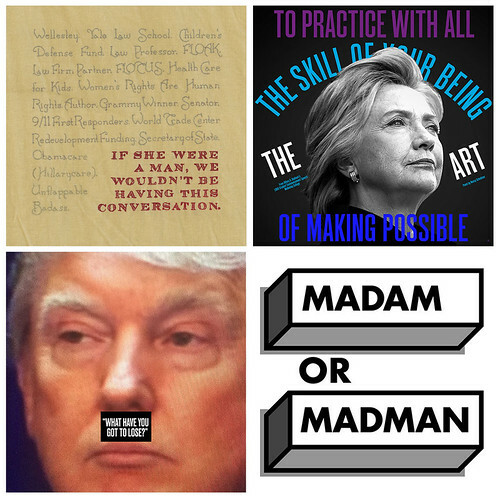 Other design led initiatives in support of Hillary Clinton include The Forty-Five Pin Project and 30 Reasons with work by designers such as Matt Dorfman, Elizabeth Resnick and Craig Frazier. 30 Reasons posters by Elizabeth Amorose, OCD, Bonnie Siegler and Larkin Werner. Hillary for America video showing Pentagram’s identity in action.